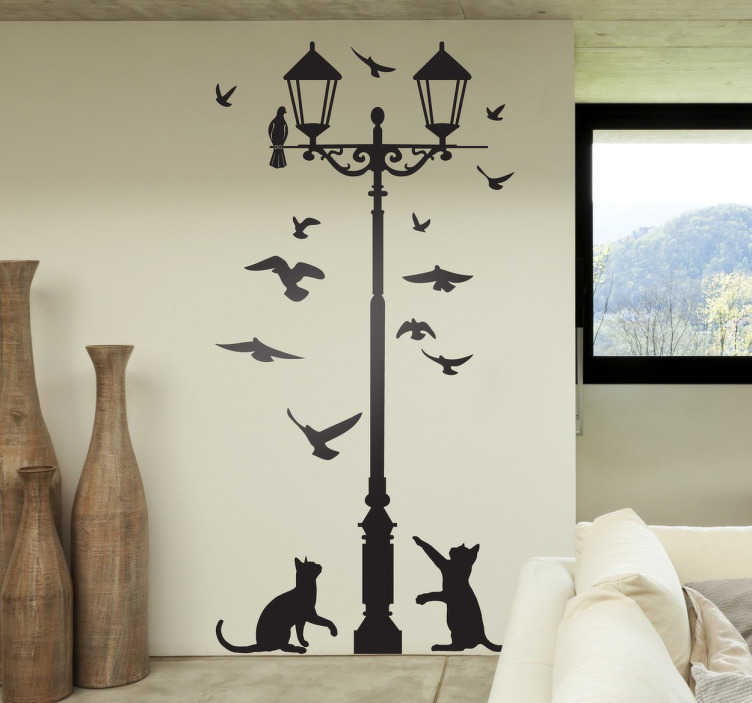 Silhouette wall sticker illustration two cats trying to catch birds by a lamp post. Original wall decal feature for your home or business. Available in various sizes and in 50 colours. Decals made from high quality vinyl. Easy to apply.